You are already aware that you can count on Family Danz Heating & Cooling to provide you with the best in home comfort. 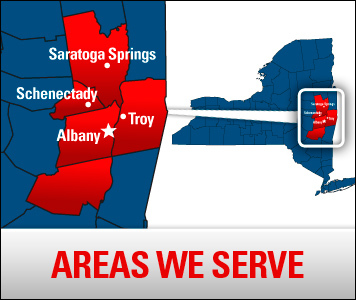 But did you know you can also count on us for fuel oil delivery in the Saratoga, NY area as well? Family Danz sells only premium grade fuel oil at the lowest possible price. Our fuel oil contains detergents to keep your heating system running clean and at the highest efficiency. The addition of these additives reduces service calls, extend equipment life, benefit the environment and save you money. In addition to our fuel oil delivery, we’re also happy to supply on-road and off-road diesel to Saratoga, N.Y. area farms, construction companies, excavators and many other commercial accounts. We’re confident that the price of our fuel oil is the lowest available, too – that’s why we publish it every day on our website. Saratoga, NY residents can schedule fuel oil delivery at no additional charge. Discounted budget and prepayment plans are available when you choose automatic delivery. If you prefer to call when you need a fuel oil delivery, please dial up our office when your tank gauge is between half a tank and a quarter of a tank full. That will allow us plenty of time to schedule your fuel oil delivery. Family Danz is pleased to offer a full range of services to Saratoga, NY residents. Choose Family Danz Heating & Cooling. Call us today at (518) 427-8685to schedule your next delivery or to learn more about our payment options.